Description: Lyman 7631394 Treated Corncob Media 6 lb. 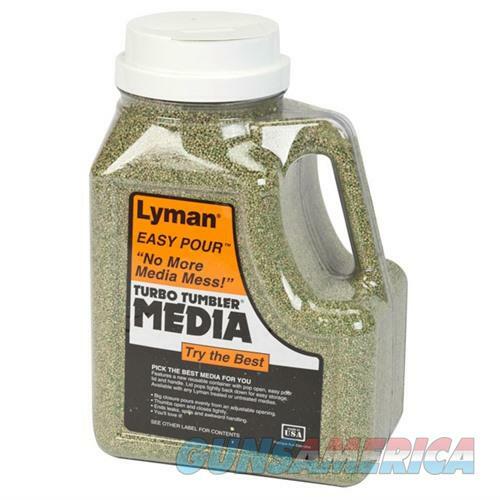 "Easy Pour Container" Lyman Case Cleaning Media is the most effective choice for cleaning dirty and tarnished cases. A few hours in a Lyman Turbo Tumbler and cases are clean, polished, and ready for reloading. Available in Specially Treated Corncob or Rouge Bearing Nutshell.